Today, we're going to look at a fun subject for living books: science. This post has taken me much longer to write than it should have. I keep going off on rabbit trails as I look up books to share. As I mentioned on Monday, I first discovered that science could be fun with a level 1 science reader about an octopus. Since then, I've found TONS of great books on science for young children! 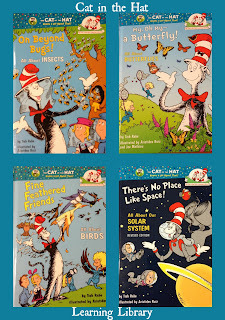 Most of them are older, but there is one current series I love: The Cat in the Hat Learning Library. There are all kinds of topics - even one on maps! 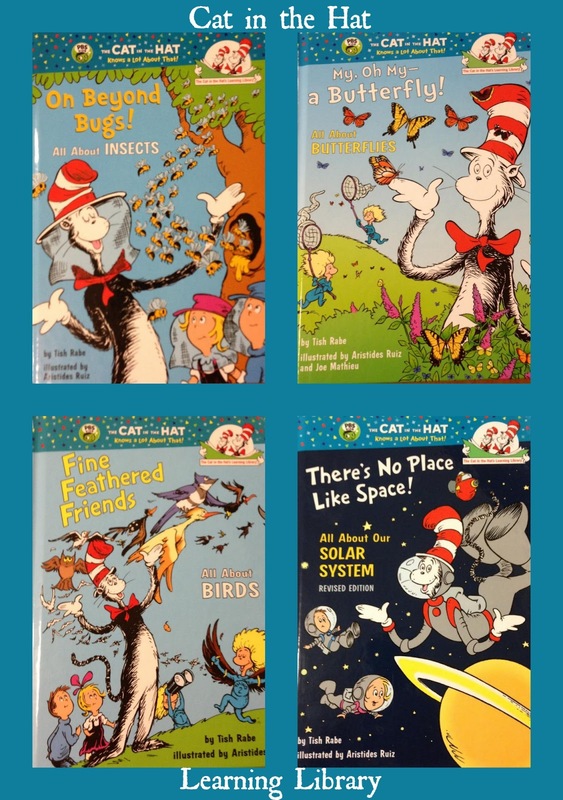 I like them because the facts are presented in rhyme, which makes the books more fun to read, and the information easier to remember. Isaac, my 5 year old, enjoys having these read to him, and my girls like them too, even though they are 12 and 13. Mostly I think they just enjoy having me read to them, even if it's rhyming science books. Do check out the website. There is some great stuff there. We also enjoy "The Cat in the Hat Knows A Lot About That!" show on PBS/Netflix. An author I love, who writes books about natural history (defined, according to Google, as the scientific study of plants and animals, presented in popular rather than scientific form) is Jim Arnosky. We have several of his Crinkleroot books, and they are just lovely. 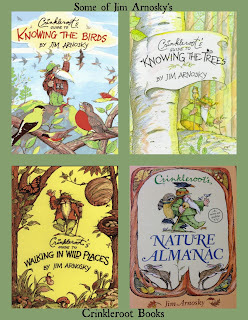 Crinkleroot is a crusty old outdoorsman, who walks you through the woods in the books, pointing out different things related to the topic at hand - birds, butterflies, trees, etc. Mr. Arnosky has a fantastic website, with coloring pages and all kinds of nifty stuff. There are a few of his Crinkleroot books in print, and you can purchase the entire collection on CD. He has also written several "All About" books, about different animals, with beautiful illustrations. Yet more favorite books for my girls have been The Burgess Bird Book for Children and The Burgess Animal Book for Children. (The links take you to the Baldwin Project, where you can read the books online for free to see what you think.) We discovered these books thanks to Ambleside Online, and the girls read them eagerly for school last year. They are stories about birds and animals, as Peter Rabbit encounters them in his woodland life. It's a wonderful way for children to learn without even realizing they're learning. Lots of people love the bird book! There are some lovely resources at the My Soul Doth Delight blog, and Satori Smiles has a fantastic Burgess Bird Book Companion. 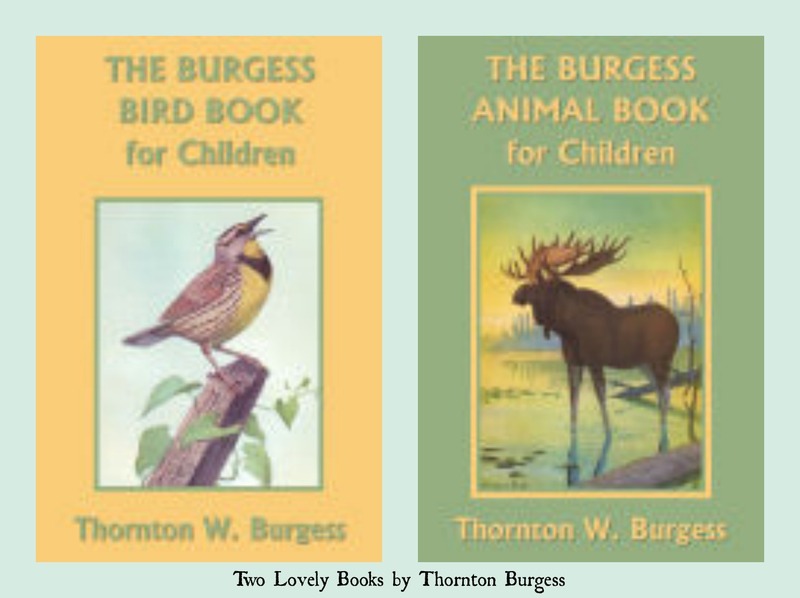 The Teach Beside Me blog has a nice Burgess Animal Companion. You might be thinking, as I did, "Sure, living books are all well and good for little kids, but what about high school? I can't possibly do science in high school without a textbook, can I?" My answer is: Yes, you CAN! 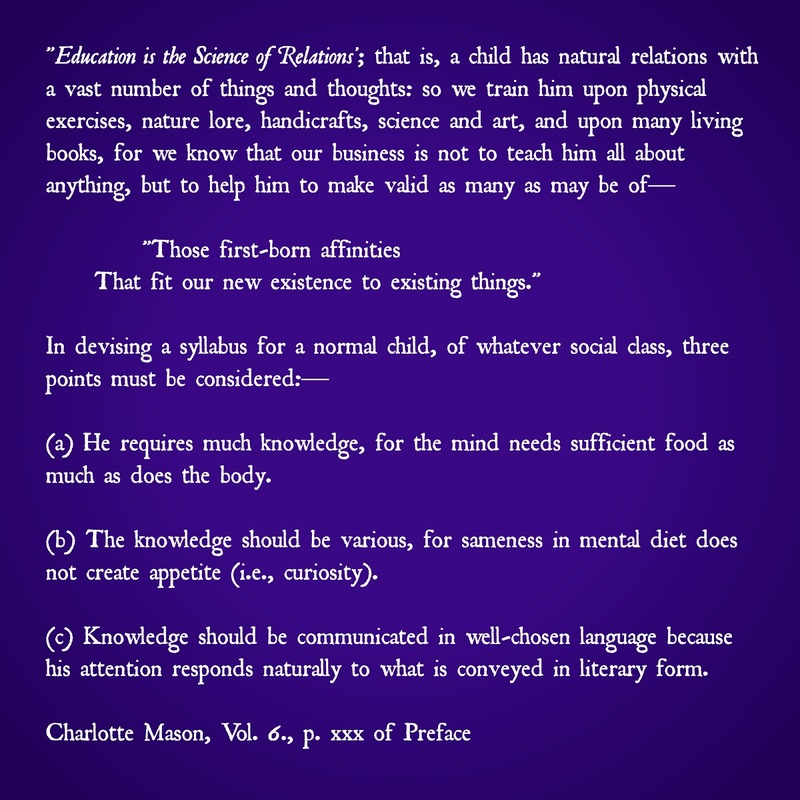 The goal, as always, is to choose books that will inspire students to connect with the material - to help them see how the information fits into the overall picture of Creation. I have read plenty of science textbooks in my time, and my children will have to do so if they find their path leads them to college. However, for the time I have them, I want them to love learning, and to engage with what they learn. The best way to do that is with living books. 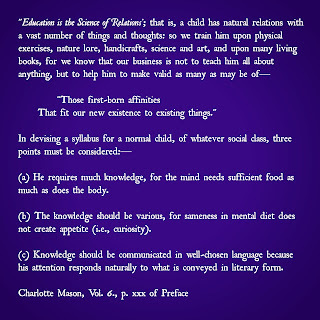 If you're interested, here is a link to a book Charlotte Mason actually used for science in her schools: The Sciences: A Reading Book for Children by Edward S. Holden. Tomorrow we're going to talk about some places to start looking for living books.